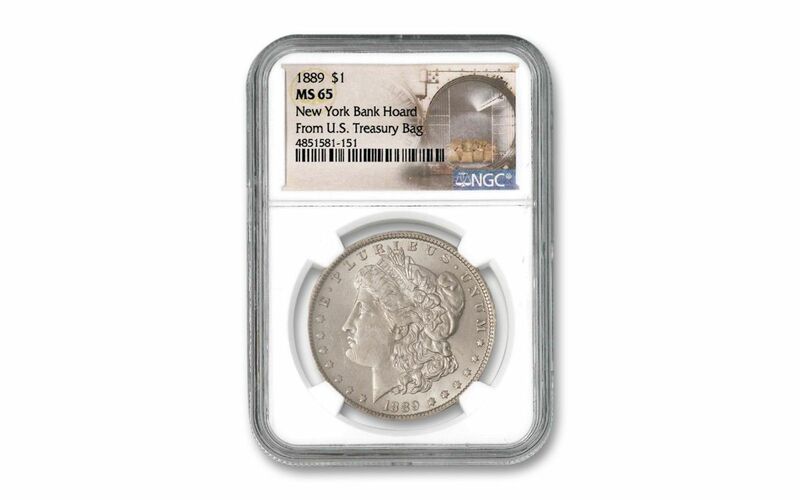 A Breathtaking Morgan Silver Dollar from the Remarkable New York Bank Hoard! During the release of the Great Treasury Hoard in the 1960s, a numismatic broker in Brooklyn, New York named Edward’s Associates acquired a sizable number of unopened Morgan bags, 16 of which were sold to an unnamed individual who worked in the financial sector of Wall Street in lower Manhattan. The unopened bags were placed into a bank vault, and the owner walked away. For one of the first times in history, a modern find of unopened bags of Morgans could actually be traced back to, and certified as coming from, the Great Treasury Hoard! For years, the family of the Wall Street employee who secured the bags of Morgan Silver Dollars simply paid the monthly fee for the vault. That fee was rather sizable, though, and the financial toll eventually led to the family deciding to open the vault and sell the coins. They contacted a number of leading coin experts, who quickly got to work. After carefully opening the bags and examining their contents, the experts estimated the value of the New York Bank Hoard to be between $1 and $1.5 million! Now you can own a piece of this incredible New York Bank Hoard – the last of the Treasury Hoard bags of Morgan Silver Dollars – with this incredible key-date 1889-dated Morgan Silver Dollar struck at the “Mother Mint” – the Philadelphia Mint. Not only has this coin been graded by the Numismatic Guaranty Corporation (NGC) as being in stunning Mint State-65 (MS65) condition, but NGC has also sealed it a protective coin capsule and added a special pedigreed label certifying that it hails from the famous New York Bank Hoard of U.S. Treasury Hoard Morgan Silver Dollars. Get your piece of the New York Bank Hoard of Morgan Silver Dollars from the original U.S. Treasury Hoard. 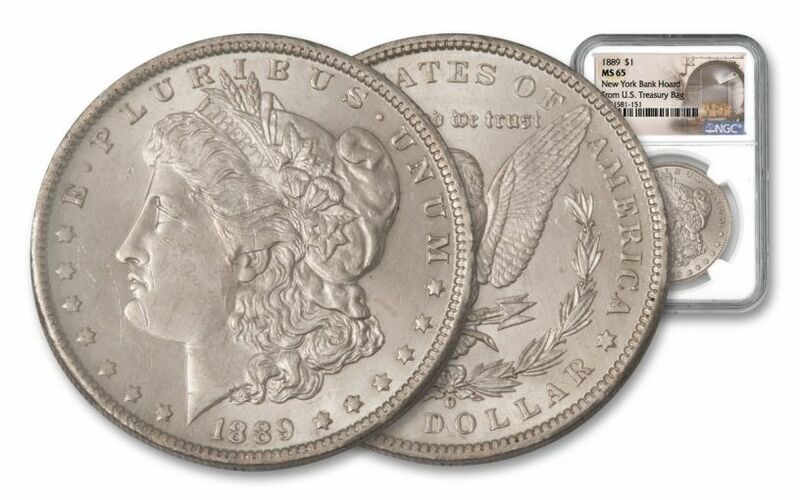 Add this 1889-P Morgan Silver Dollar to your cart right now! COIN FROM THE MASSIVE NEW YORK BANK HOARD – This coin hails from the massive New York Bank Hoard. The hoard consisted of sixteen 1,000-coin bags of Morgan Silver Dollars acquired during the Treasury Hoard releases of the early 1960s. The owner of the hoard worked in New York City’s financial district and he purchased the coins from a Brooklyn coin dealer. The hoard’s original owner was an immigrant who grew up during the Great Depression and valued physical money. His family decided to sell the coins rather than continue paying an $800-per-month bank vault storage fee. STRUCK IN GLEAMING AMERICAN SILVER – Morgan Silver Dollars were struck in 90% silver from the famous Comstock Lode. 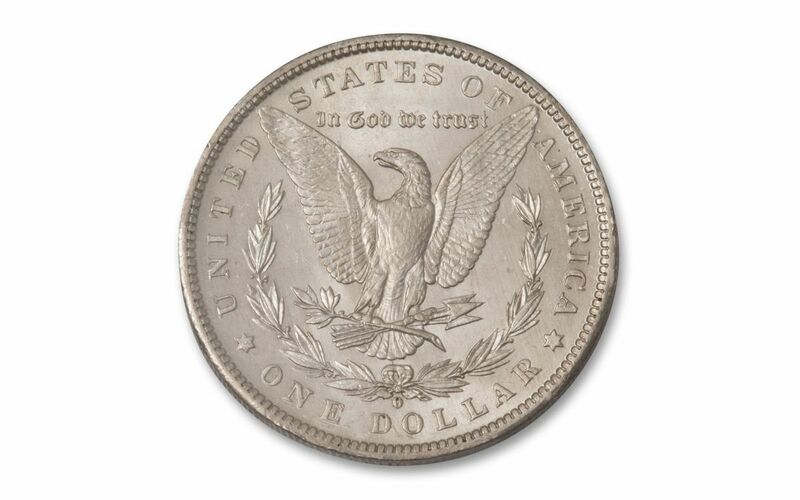 LEGAL TENDER SILVER DOLLAR – Morgans were $1 legal tender and struck during the heyday of America’s Wild West era where coins were overwhelmingly preferred over paper currency. COMES IN HIGH-GRADE UNCIRCULATED CONDITION – This 1889-P $1 Morgan has been graded by the Numismatic Guaranty Corporation (NGC) as being in Mint State-65 (MS65) condition, meaning that it is a high-grade coin that is as crisp and fresh as the day it left the Philadelphia Mint 130 years ago! SPECIAL PEDIGREED LABEL – Your coin will be encapsulated in an acrylic coin holder with a special “New York Bank Hoard” label that also notes the coin hails “From U.S. Treasury Bag” attesting it originated from the from the famous U.S. Treasury Hoard. 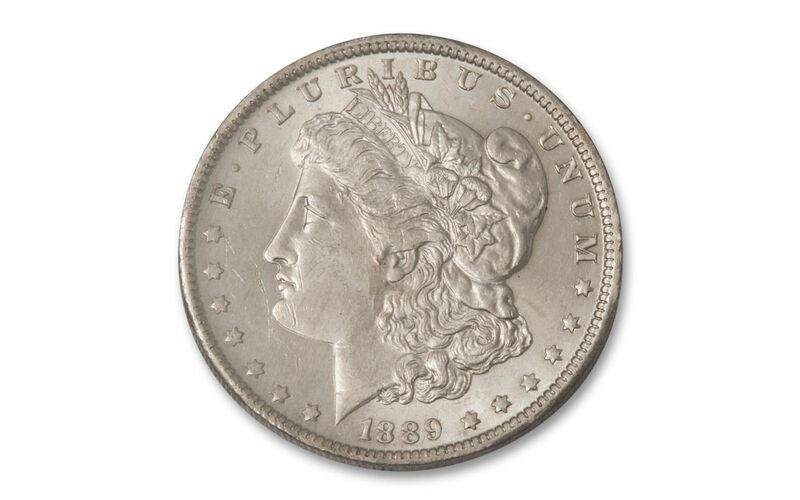 THE CASE OF THE DISAPPEARING MORGANS – While millions of Morgan Silver Dollars were struck from 1889 through 1921, massive silver meltings and the ravages of time have taken their toll. Today coin experts believe that only 15% of all Morgans ever struck remain in existence – and fewer still remain in Choice Uncirculated condition!